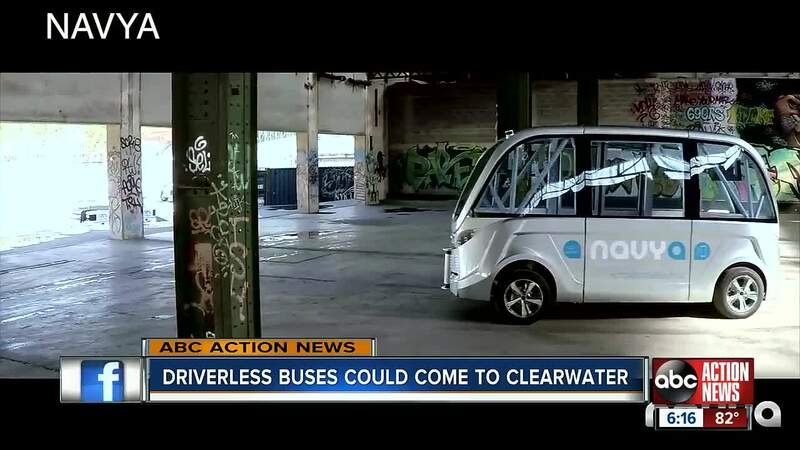 CLEARWATER, Fla. — Driver-less buses may be the future in Clearwater Beach. Several cities across the country, including Las Vegas, are trying them out, and now Clearwater city leaders want in. "It's a new idea," said tourist Susie Clairday. She and her friend said the idea sounds "out there" but they're willing to get it a try. "I would try it since it's not the first one," she said. "We already have one in Vegas, so maybe I'd try it." The federal government has $60 million in grant money it said is available for cities willing to test out vehicles like the Navya Bus. Clearwater city leaders want to test the bus on Mandalay Avenue. They want it to go north, up to Juanita Way and come back down. Though many tourists are for it, some locals are on the fence. "I don't like it," said Wesley Deal. "I think it's going to create more problems in the end versus actually helping us." Some say the bus may make the road less congested and could help with the parking issues in North Beach. "I think it's kind of dangerous," said Deal. He questions how a bus driven by itself will stop or avoid accidents. According to Navya, the bus will only go about 12 miles-per-hour. It also uses sensors and wifi to detect other vehicles and determines when to stop. The city would like to test the bus between October and January when it's not too busy.